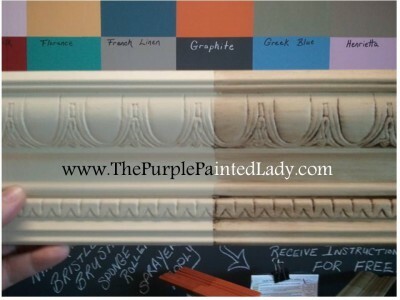 Chalk Paint® Sample Pots....GLORIOUS Sample Pots (1/2 cup each...meaning 4 ounces of paint). Annie Sloan's Cream is a soft pale warm creamy YELLOW- like the color of clotted cream or French Vanilla Ice Cream. Yes- you read this correctly- cream is a soft yellow! There is definitely a yellow hue to this color! We suggest you use it under Paris Grey or of course on its own perhaps with Old White on edgings and details. NOTING AGAIN- this color has a yellow hue to it! If looking for an off white- you will want to order Old White! We ship orders Monday through Friday...almost always same day that you place your order too! The 4 ounce sample pot can cover between 14 and 17 square feet of surface. That equates to about 3 dining chairs...maybe more depending on how thick you apply your paint and how many coats you need. And actually if you thin it with a little water ~ it will go even further! 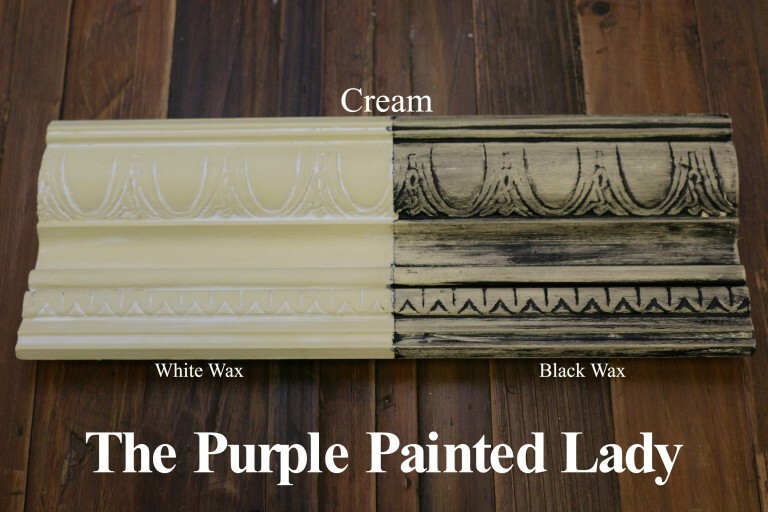 So, if you want to try a little Chalk Paint® first...or just need a small amount of color to accent a piece...or have a small piece to paint - than these are for you! Please note! ~ make sure to purchase your paint with confidence. We are sorry – but there are NO RETURNs when it comes to paint. You will find this for every stockist. Think about it- would you ever want a quart of paint or sample pot sent to you - that was previously shipped to someone else? We eliminate any & all potential issues with this policy. With that said- we apologize for any issues this may cause. So, please choose wisely and do not spontaneously purchase a color if unsure. OK? In fact- if you need help in deciding- ask us. We are here to help you! : ) Our 4oz. 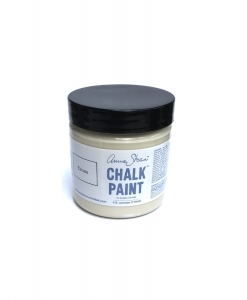 sample pots of Chalk Paint® are perfect for many uses. Happy Painting! 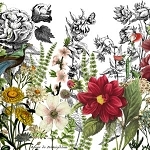 Some photos, displays and work designed and created by Annie Sloan. We are sorry - there are NO RETURNs when it comes to paint. You will find this for every stockist. Think about it- would you ever want a quart of paint sent to you - that was shipped to someone else prior? We eliminate any potential issues with this policy. Both Chalk Paint® & Chalk Paint® Wax have been independently tested & certified as Toy Safe according to strict European regulations (BS EN 71-3:2013). Copyright The Purple Painted Lady. All Rights Reserved. eCommerce Software by 3dcart. Please visit www.anniesloan.com to find your local stockist!